What Does Envato Elements Platform Include? Although WordPress admins will be primarily interested in themes and plugins, there are lots of other tools and items every website owner will appreciate to have. You may not recognize lots of needs of your new project at its start but Envato Elements is ready to cover all sudden necessities that will surely appear during the life of your website. Let us now list all the opportunities Envato Elements provide to each of its subscribers. Note that the starting subscription price is only $16.50 per month. 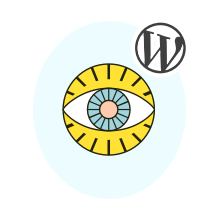 WordPress themes and plugins — great collection for both groups of items that will cover all necessities of any website type and topic. Stock video — ready-to-use short motion pictures which you can use to represent or advertise your project. Video templates — useful pieces of motion pictures which can serve as the amazing blocks to build your unique videos of any kind and purpose. Graphic templates — awesome variety of mockups, templates, infographics, logos and other graphic pieces for printing and website development. Graphic elements — smaller parts of website design in the form of textures, backgrounds, icons, illustrations, vectors and much more. Presentation templates — properly designed slides for your perfect presentation at any subject or topic. Photos — stunning works of professional photographers on all possible subjects: from natural landscape to business and office pictures. Fonts — comprehensive collection of print types for your website, email newsletters, popups, printing products and other elements of your marketing campaign. Add-ons — everything you need to calibrate your WordPress tools for even further productivity and convenience. Web templates — prepared blocks and full pages for your WordPress project, as well as for email newsletters, landing pages and admin dashboards` design. CMS templates — for experienced WordPress website owners who want to develop their project with Drupal, Joomla, Magento, OpenCart, Shopify, PrestaShop and others. 3D — beautiful volume models for all occasions. How Do You Actually Save Money with Envato Elements? With $16.50 you can actually buy one or two WordPress themes or plugins (most premium tools are even more expensive than the monthly fee of Envato Elements). It is however very difficult to choose a proper WordPress theme once and forever. Such approach is doomed to failure for newbies in the sphere of WordPress administration. When we remember about countless additional tools like plugins, icons, logos, templates, videos, fonts and other important items, it becomes impossible to hold them in $16.50. Here is where Envato Elements come to the rescue. With a relative cheap monthly fee, you enter the open world of opportunities to try on any WordPress theme and use any WordPress plugin you need. All other listed above items are also at your disposal. During one month you get the amazing opportunity use tools for the price of thousands of dollars when combined together. Envato Elements also provide their registered users with a set of free items — check them out at the platform right after your registration. Think about this awesome perspective and choose wisely for your WordPress project!